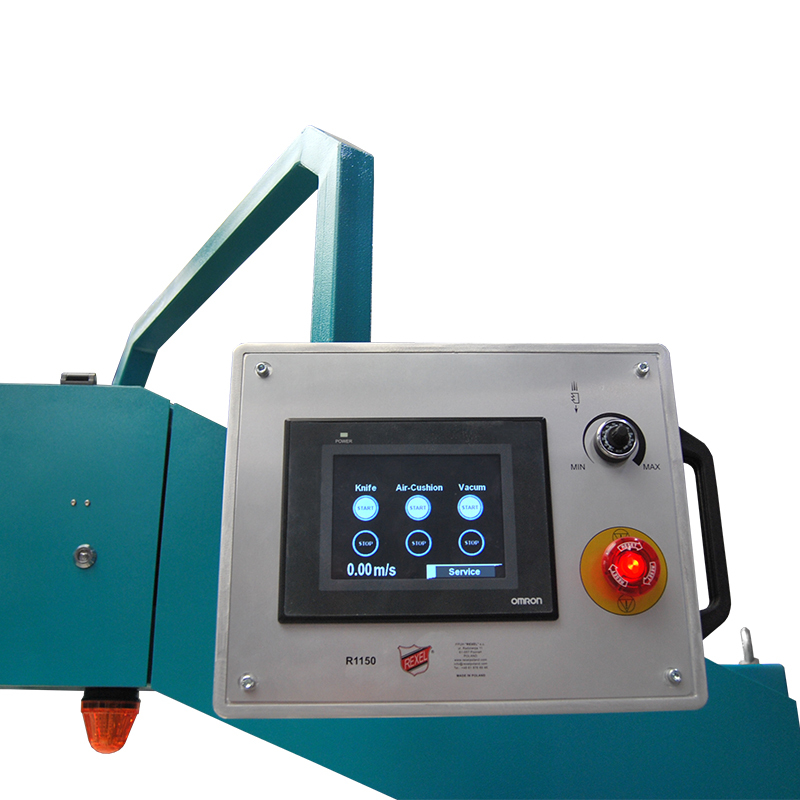 Band knife machine R1150 is designed for cutting upholstery foam in blocks. 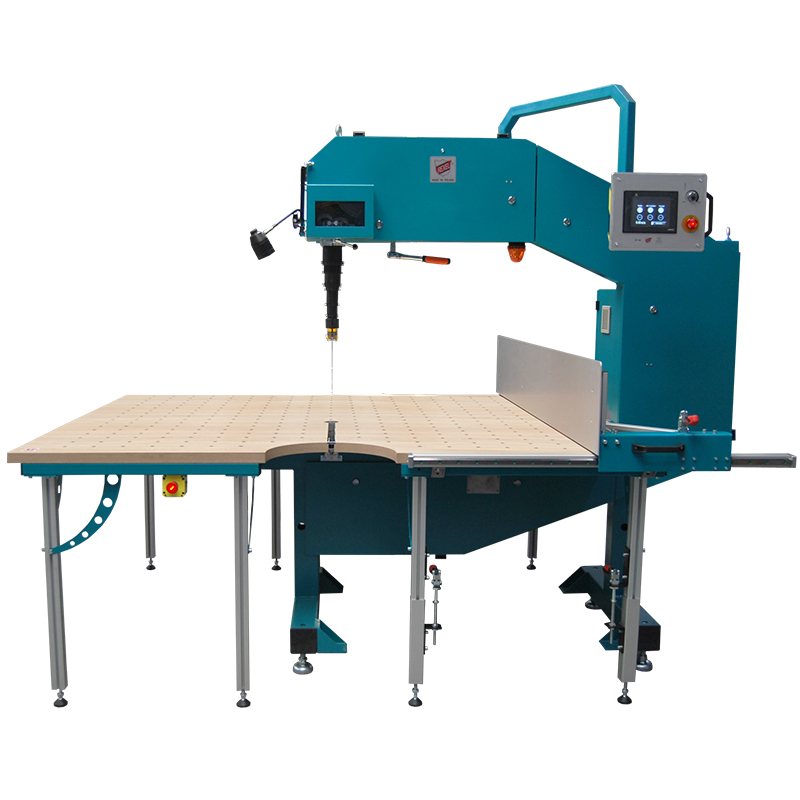 - The band knife machine is a powerful and versatile tool for cutting fabric, leather, cardboard, upholstery foam, rubber or paper. - Any band knife can be used with this device (straight, convex, concave or toothed). - Smooth or airflow-equipped tabletops. - Each machine is equipped with a knife sharpener and a dust-collecting tray covered with transparent casing. - A solid construction made of powder-coated steel. 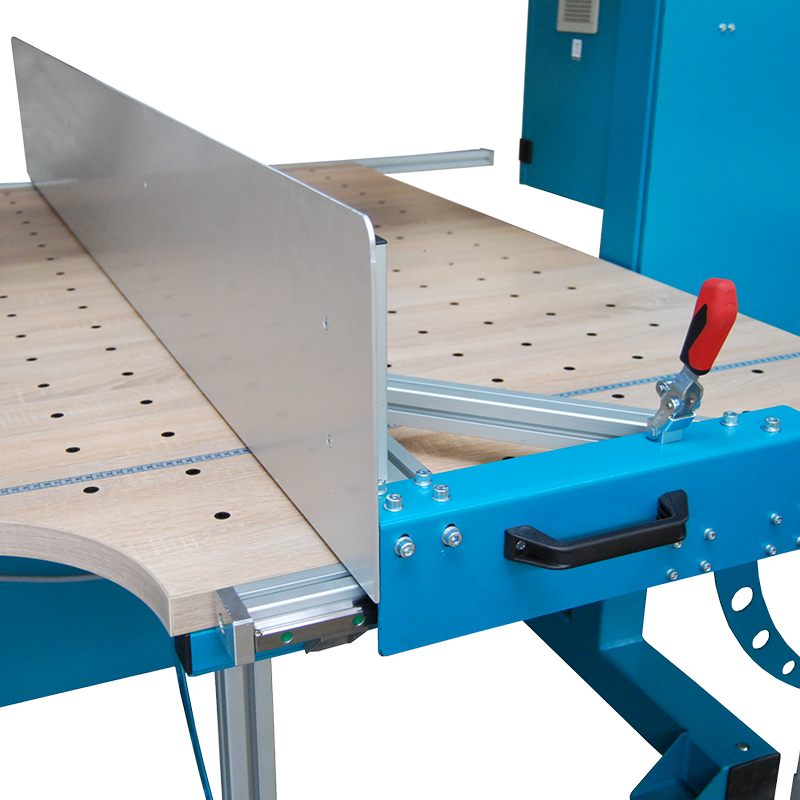 - All machines are equipped with a mechanical band catcher and the panels are protected with end switchers. 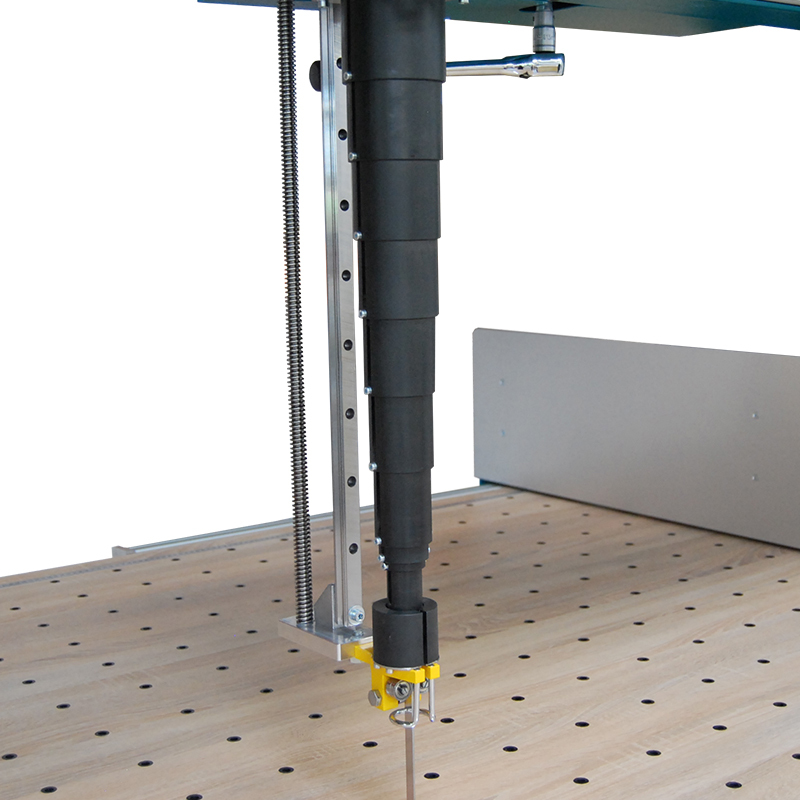 - (Optional) vacuum system for removing dust and material pieces during cutting. (R1250, R1150, R1000 and R750 only).